Dynamic, multidimensional broker Michael Ettelson lives and breathes real estate. 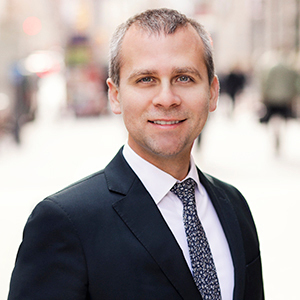 Recognized as one of the top professionals in Brooklyn, he's known as a reliable and success-focused asset to buyers and sellers, and developers consider him the go-to guy for discerning advice and direction. As a founder and principal of the Werde Ettelson Team, Michael embraces the devoted work ethic and collaborative teamwork that have made the group a consistent top-producer in the Brooklyn market. The team has closed more than $500 million in sales and worked on some of the premier buildings in the borough — from the drawing board to sell out. Michael takes a hands-on approach and sticks with each project from the beginning to its successful conclusion. His talents in the areas of marketing, procurement strategies, and his vast knowledge of the market and industry, separate him from the pack. And, whether he's helping a first-time buyer or renter, or a seasoned investor or developer, each and every client receives the same dedicated service and attention. A Brooklyn native, Michael grew up surrounded by the real estate business. Watching his father's work gave Michael early exposure to the industry and ignited a lifelong passion for the business.